March has been as good as expected in terms of inshore fishing. There have been some great trout catches, and lots of oversized and slot sized redfish. 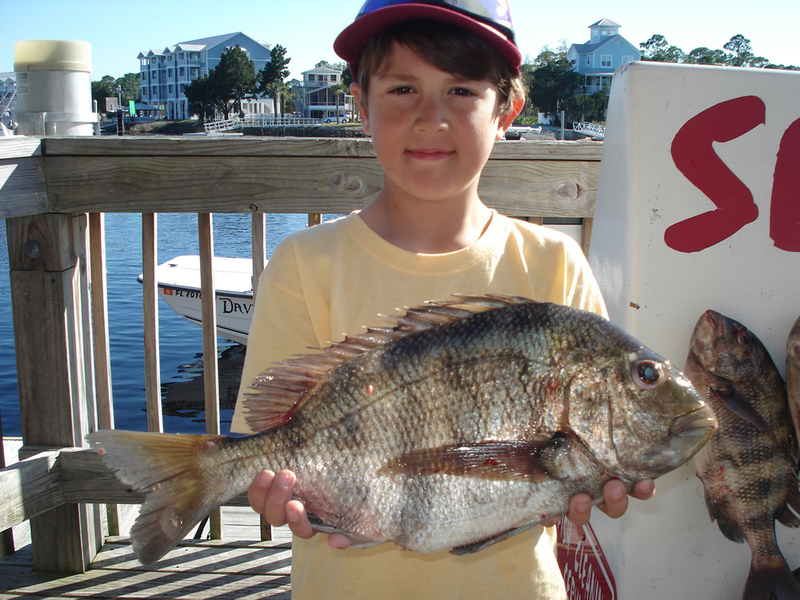 And the seasonal sheepshead bite has been very productive, although the fish have been a little bit smaller than past years. 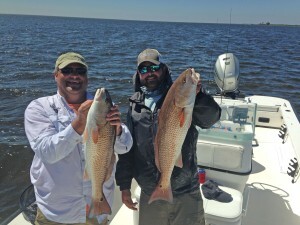 And even the weather was reasonable, at least until the last week of the month when we had a few fronts rolling through…but even the rain didn’t stop the bite. 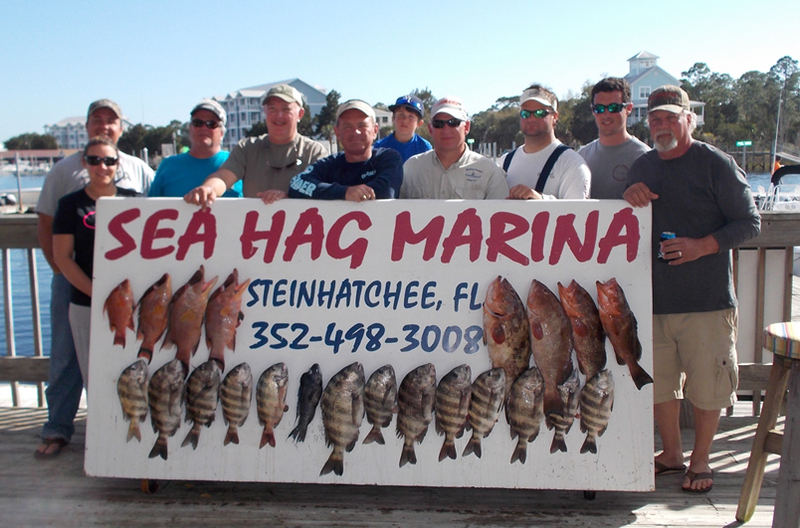 Offshore red grouper and amberjack were plentiful when the weather allowed. 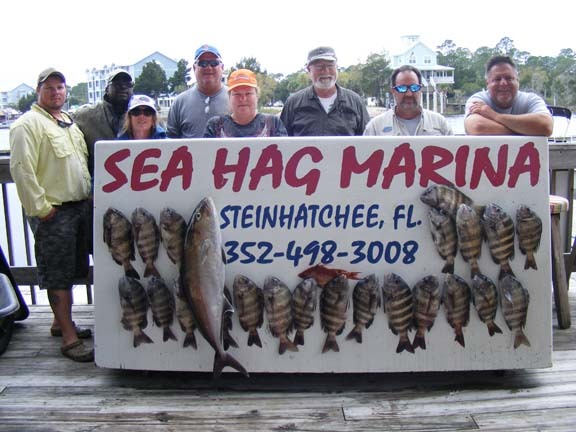 And nearshore, Spanish mackerel made a slightly earlier-than-usual appearance around sand bars. Wade Wilson and his family found this sheepshead fishing with a Sea Hag live shrimp. 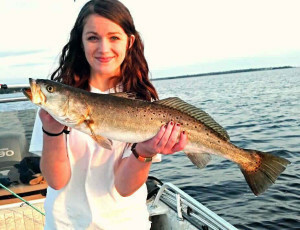 Taylor Pitts, fishing out of Keaton Beach, caught this gator trout using live bait. 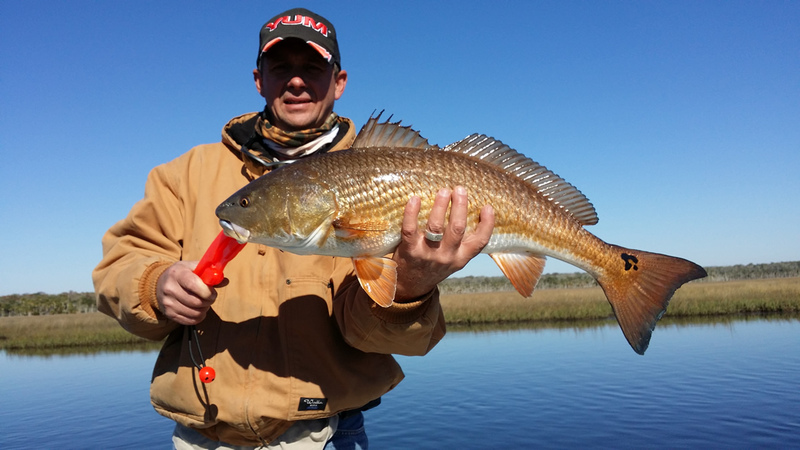 Robert Tipton found this beautiful redfish near Big Grass Island, fishing with a Gulp shrimp. 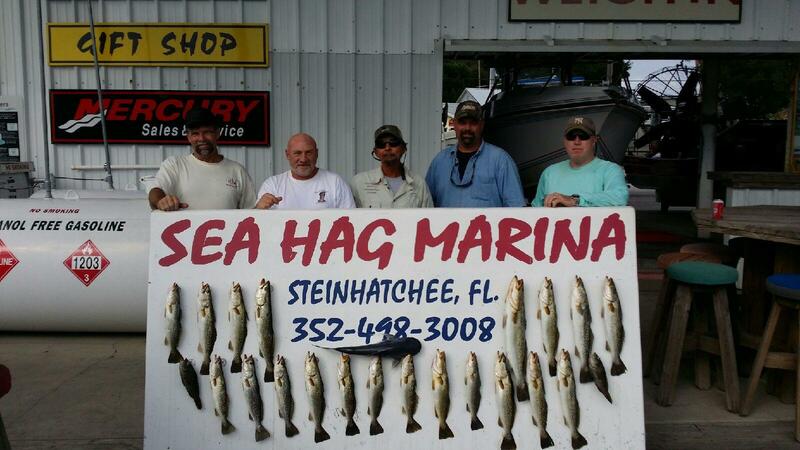 Ricky Martin and crew fished with trout king Max Leatherwood for this fine board of trout and flounder. 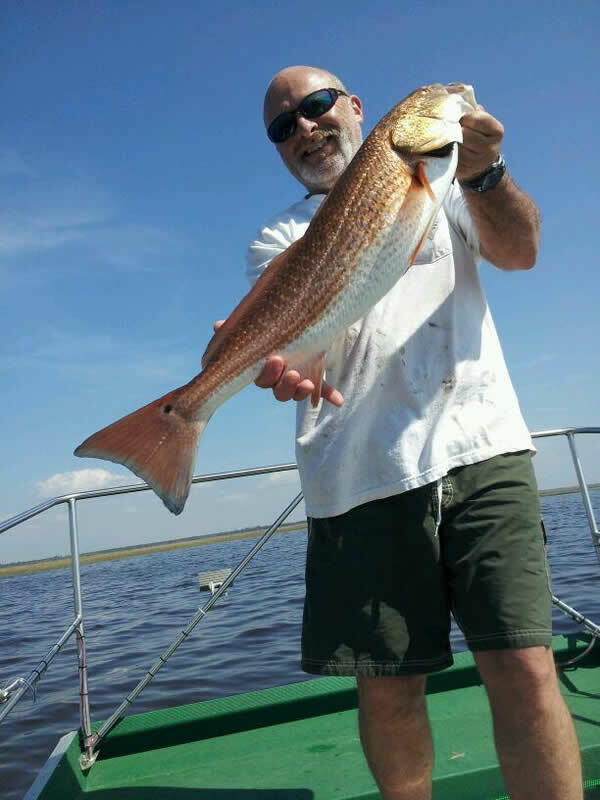 Randy Harris caught this fine redfish during an airboat trip. 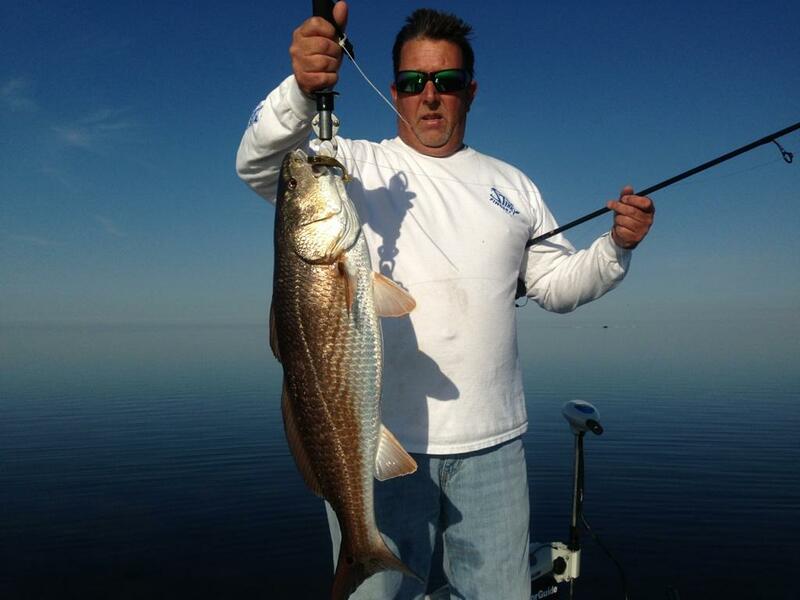 Mike Reeves fished south of Pepperfish Keys to find this fine redfish. 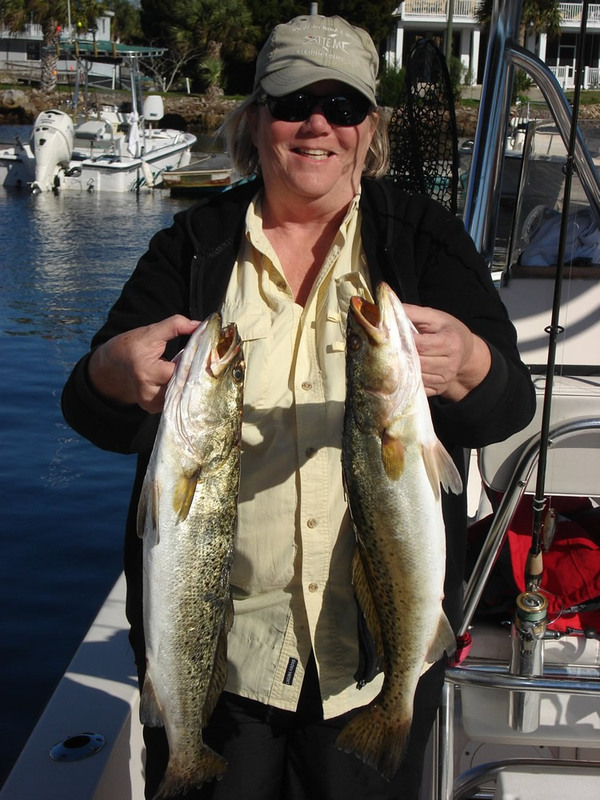 Pal Mellissa Sargent outfished her husband Bob, bringing home these beautiful trout as part of their limits. 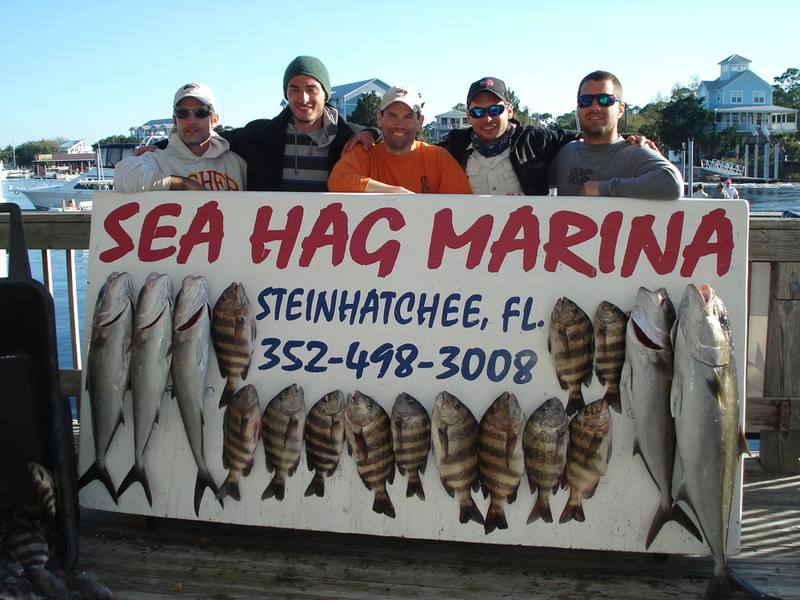 On a charter out of the Sea Hag, Mark Shuford, Jordan Whitmire, Alex and Michael Mamas and Chris Smith scored these beautiful sheepshead and amberjack. 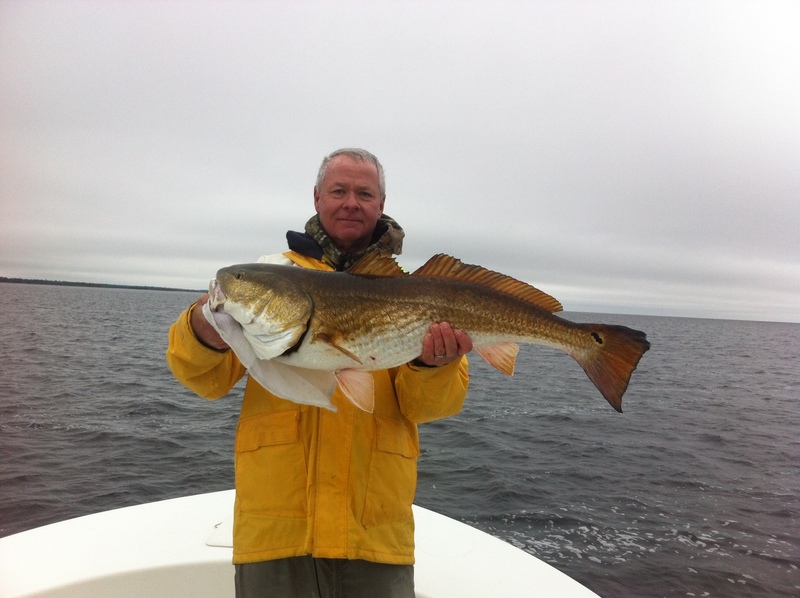 Jason Carrington scored with this 6 pound plus gator trout, the winning trout in the Steinhatchee Community Fishing Tournament. 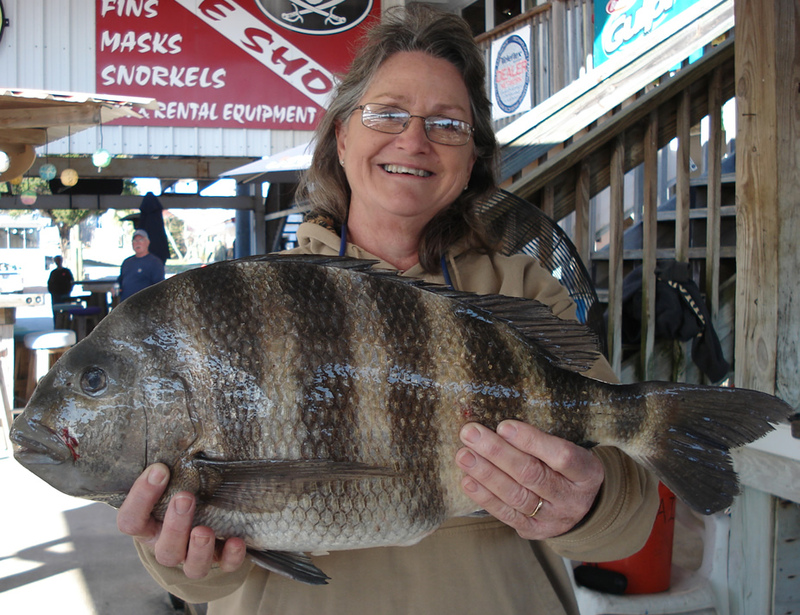 Janice Benton, from Gainesville, landed this giant sheepshead fishing with Wiley and Doris Horton. Holly Rust and daddy Adrian found this cute sheepshead that went home for dinner. 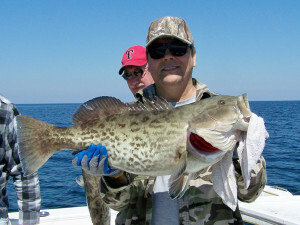 Got a taste for grouper? 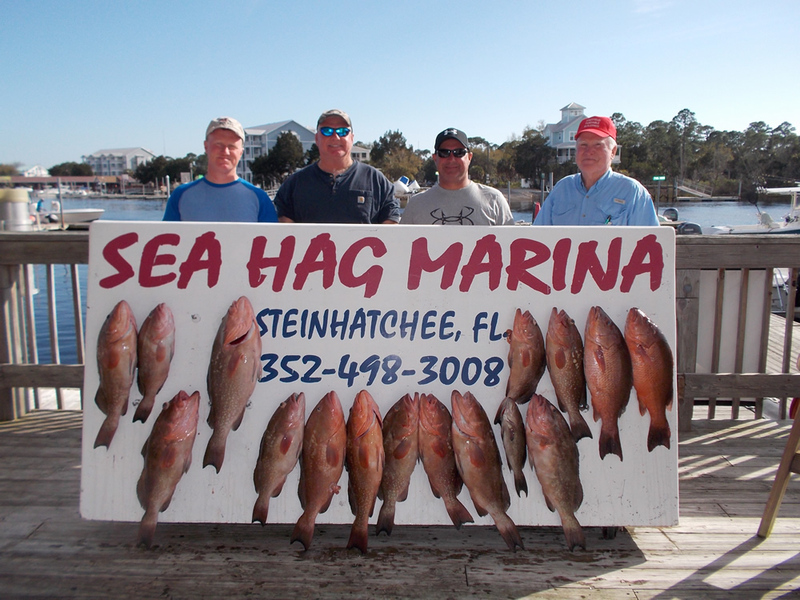 Frank Sheffield Junior and Senior, Dean Baker and Ben Shealey from Stark nailed this great board of red grouper. 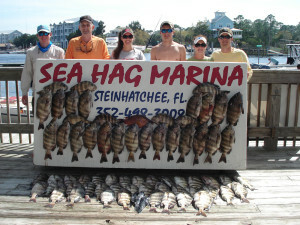 The Dykes family from Keystone Heights fished with Sea Hag fiddler crabs to bring home these fine limits of sheepshead. Judge Dave Reiman landed this fine red grouper during the Steinhatchee Community Tournament. Dale Holston found this beautiful gag grouper which was promptly released…..but this month they are in season in our northern Big Bend state waters. Crews from the Black Pearl and the Bluewater Predator came up with this fine collection of sheepshead, red grouper, and some hog snapper. 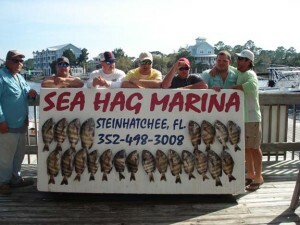 There are three tournaments based at the Sea Hag Marina in April. 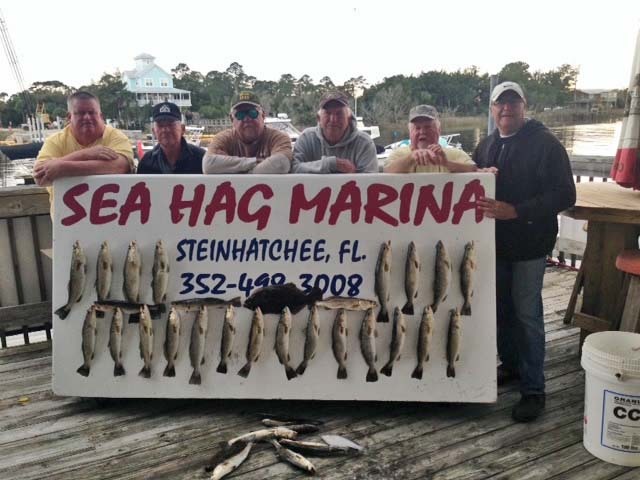 Early in the month, the Florida Lure Anglers tournament takes place on the 5th. 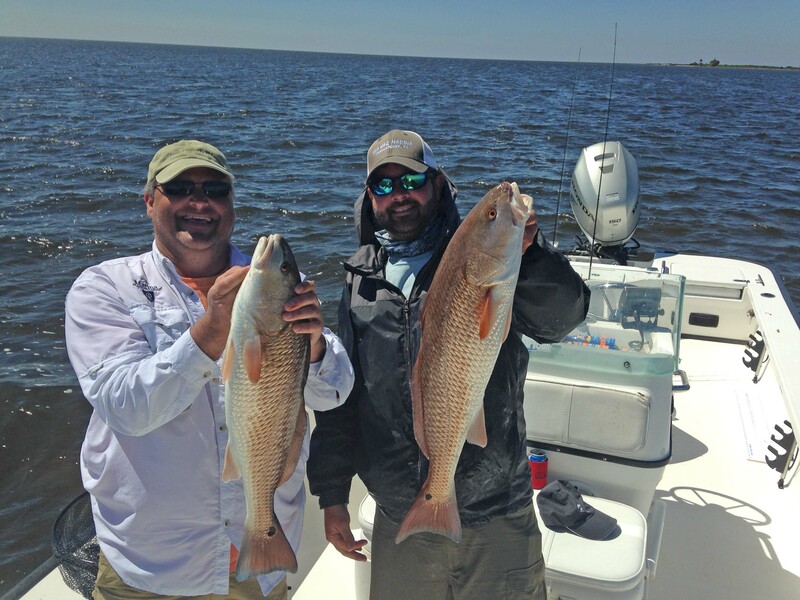 One week later is the Elite Redfish Challenge on the 12th and the Shands Fishing for Kids tournament takes place on the 26th. For specific information, just call the marina. 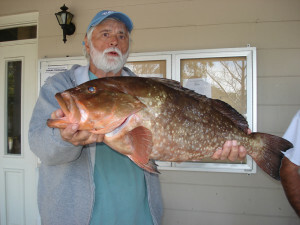 There is a wide selection of the very finest lures, including those I’ve written about, at the Sea Hag Ship’s Store. For those of you that would rather soak live bait, the marina can provide live shrimp and pinfish, along with frozen bait and chum for offshore and nearshore fishing. 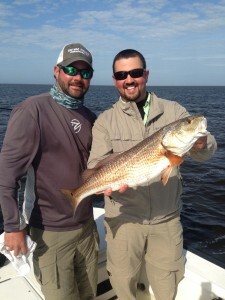 This will be one of the very best fishing months of the year, so make your reservations and let’s get on the water! Flats fishing got off to a great start in March. 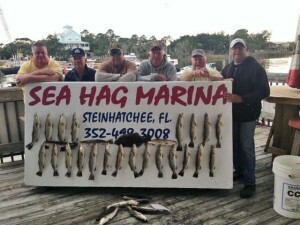 There were plenty of trout and the big surprise was the large numbers of Spanish around the sand bars. Redfish can be found around the rocky areas and still a few in the 20 lb. range in the shallows. April should be a great month also to be fishing on the flats. The strong March winds will begin to taper off and the southeast wind will warm the flats rather quickly. 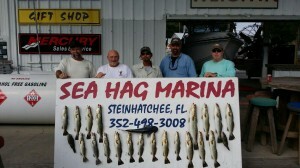 Look for large numbers of trout to start showing in the deeper areas and moving into the shallows as the water warms. 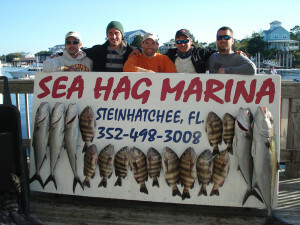 Still have a few days open for April and May if you are wanting to stretch a line. And then, one morning, you wake-up expecting the sickness, but, miraculously you breath effortlessly. 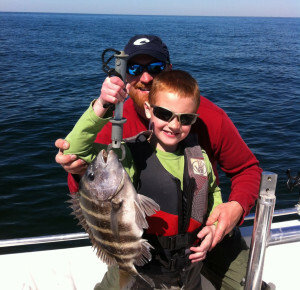 You’re free breathing, and excited and thankful to be doing so. To me, April feels like that first breathe of good air after a long cold. Everything is opened up! 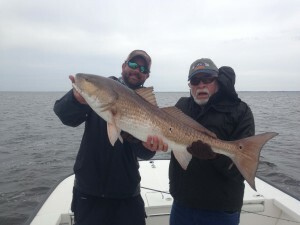 It is unlikely another wave of cold weather is going to overtake. The cold period is being closed down for good. 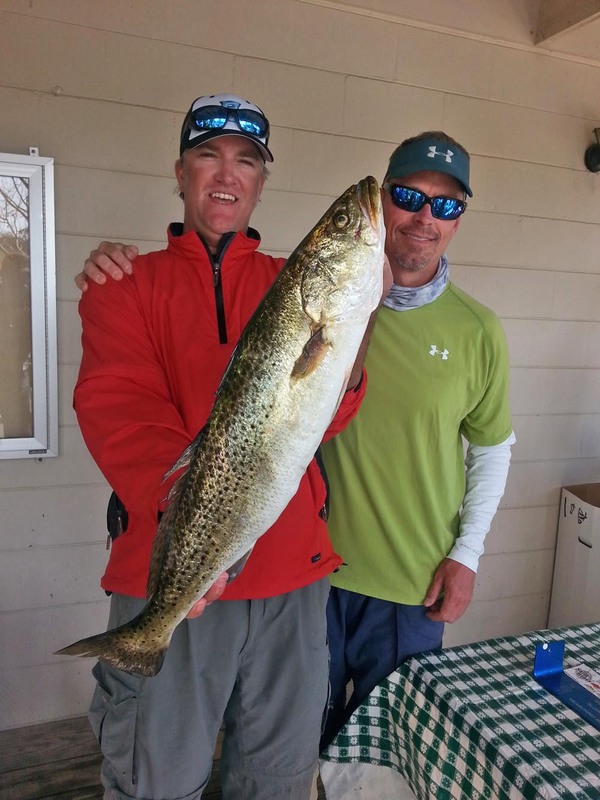 One of the best months to catch ‘gator’ trout is April. Why? Grass starts to re-carpet the flats and that coverage brings in an endless buffet of baitfish. 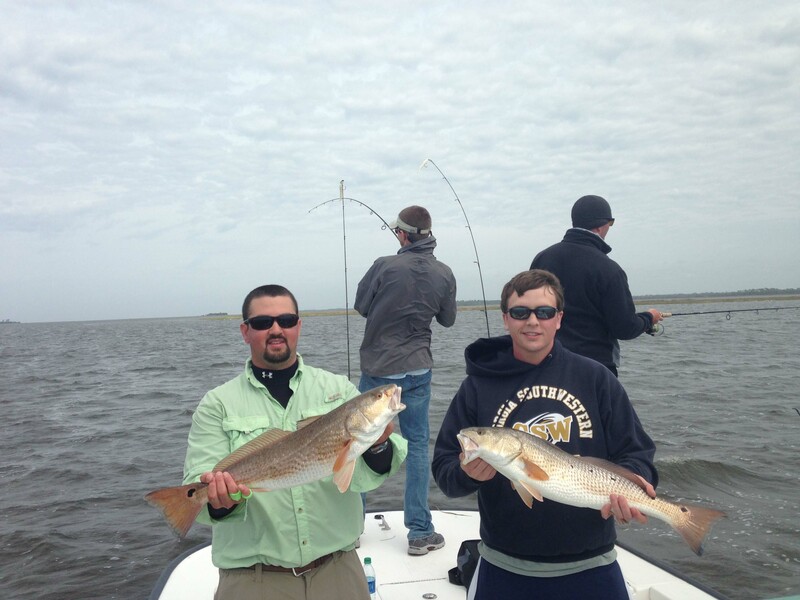 There is no coincidence between food on the flats and April being the peak spawning period for trout. She requires good food to make millions of the highest quality eggs. Think, if you’re lucky enough to catch a gator trout, even the biggest trout of your life, she is genetically superior. 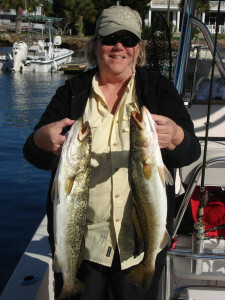 She is producing trophy trout just like herself. 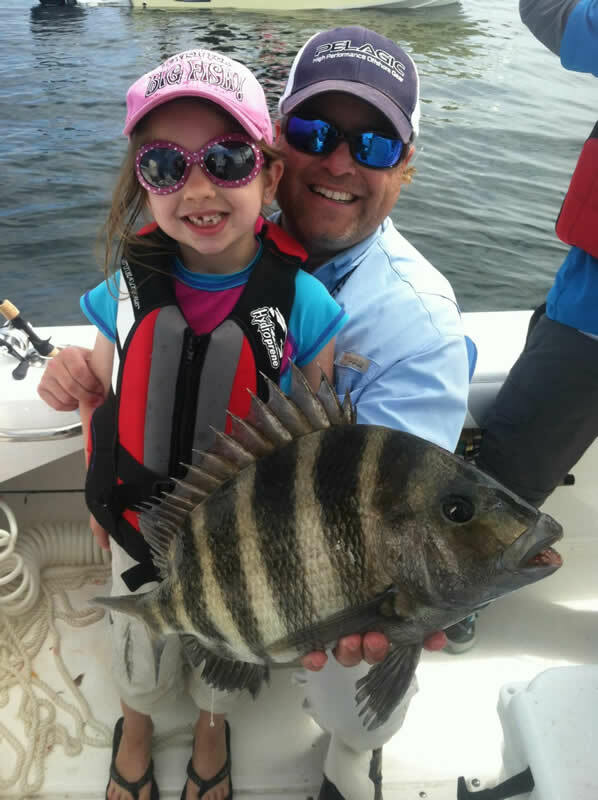 She is a thorough breed possessing genes of the highest future value. 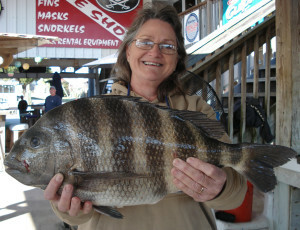 I’d rather photograph and release her to give my grandkids the opportunity to catch her offspring. The smaller trout taste the same. 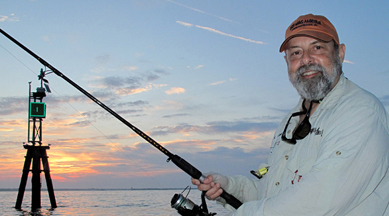 Think for yourself or the government will think for you, in terms of stricter regulations. 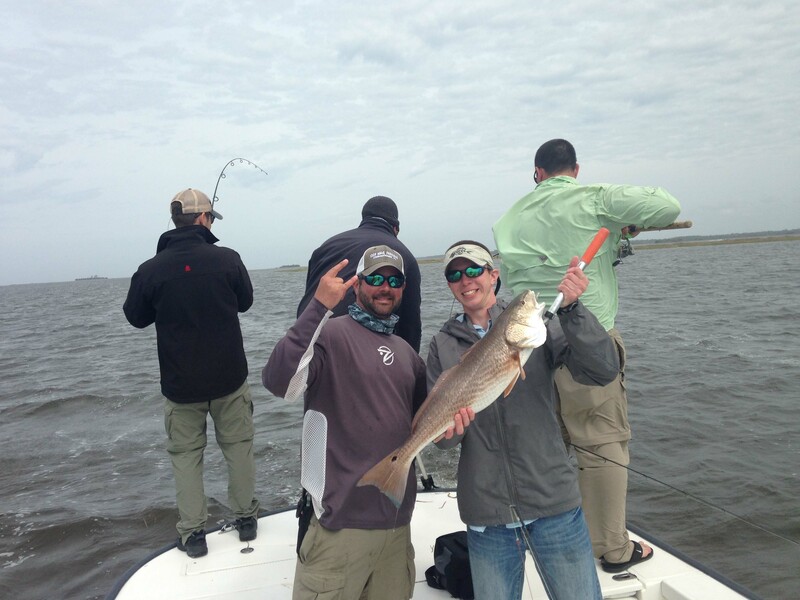 April is busting loose time. Pick a fish and come and catch it in Steinhatchee.